Home / Animax / anime / D.Gray-man HALLOW / Mob Psycho 100 / Double the Excitement with 2 Same-Day-as-Japan Series on Animax this July! Double the Excitement with 2 Same-Day-as-Japan Series on Animax this July! It’s a power-packed July as Animax brings to fans two highly anticipated anime series express from Japan! Handpicked from the best series of the upcoming season, viewers across Asia will now be able to watch D.Gray-man HALLOW and Mob Psycho 100 with localized subtitles on the same day as Japan. Long-awaited continuation of hit series D.Gray-man! 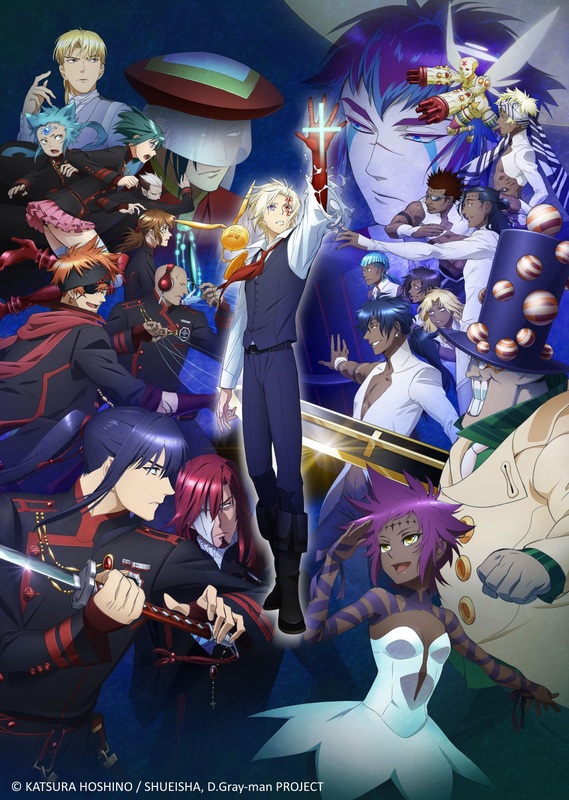 Picking up where the previous season left off, D.Gray-man HALLOW brings a fresh new look to the hit series for the 10th year anniversary of its anime debut. Set in the early 20th century, the series revolves around Allen Walker, a teenager exorcist who is able to transform his left arm into a large claw or sword. He is part of a group known as the Black Order, whose sole mission is to protect mankind from the evildoings of the villainous Millennium Earl. With social media and the online sphere abuzz with anticipation for the series, it is undoubtedly one of the hottest new titles of the upcoming season! D.Gray-man HALLOW premieres on the same day as Japan on 5 July, every Tuesday at 10pm. The next One Punch Man? 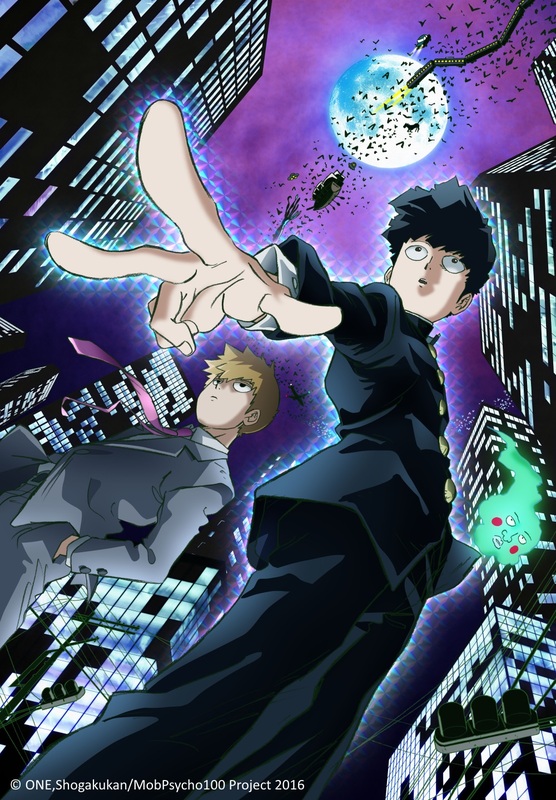 Adapted from a celebrated manga by One Punch Man author ONE, Mob Psycho 100 is a supernatural comedy that revolves around Kageyama Shigeo, a seemingly ordinary boy who keeps his psychic powers hidden. Known to others as “Mob”, Shigeo intentionally refrains from making his presence known or standing out amongst others due to a peculiar affliction – his psychic powers will go out of control and he explodes if his emotional capacity reaches 100%! Produced by renowned studio BONES (known for its work on hit series such as Fullmetal Alchemist and Space Dandy), fans are sure to be in for an amazing visual treat! Mob Psycho 100 premieres on the same day as Japan on 12 July, every Tuesday at 10.30pm. · Light-hearted rom-com Invaders of the Rokujyoma?! Rounding off the exciting new premieres is a brand new look for the top anime channel in Asia, as Animax is set to unveil a sleeker, refreshing set of brand elements come 25 July. Fronted by the tagline “It all starts with a stroke of Imagination. Re-create your World.”, the new look emphasizes the endless possibilities that can arise from a single small action, much like how elaborate anime worlds and intriguing characters all begin from a pen stroke. In line with the refresh, audiences will also get a rare chance to participate in creating a part of channel mascot OO-Kun’s world, through a contest to create a new character based on a template of a single stroke. For more information, visit www.facebook.com/animaxasiatv. With the new brand look, complemented by a blockbuster line-up of hit shows, viewers can look forward to an exhilarating July with Animax! Animax is seen on SKYCable Channel 46, Cignal Digital TV Channel 34 and Dream Channel 07.